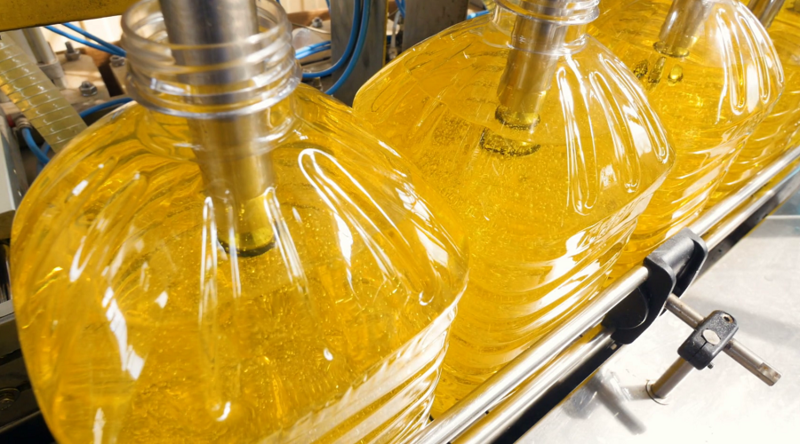 According to the specialists of the Ukrainian company AgroConsult, the indicators of sunflower oil production in the country for the last 4 months are steadily growing, despite the reduction in the volumes of shipments. As was announced, sunflower oil prices in Ukraine have remained at a quite high level. For example, from 09.2017 to 07.2018, the export of raw materials reached 4 963 000 tonnes, which is 8.5% less than last year’s 5 428 000 tonnes. If we compare the indicators of sunflower oil supplies for July of this year and last year, then the volume of raw materials reached 422,000 tons this year, which means its decrease by 17.3%. Sunflower oil from Ukraine is exported in several strategic directions. Most of the 45% is shipped to India, 26% to the EU countries, and only 9% to China. Despite the impressive volume of raw material exports, India increased purchases by 21.4%, compared with previous seasons, while China and the EU countries reduced it to 13.9% and 17.5%, respectively. Considering the new directions of shipments, the number of the country’s partners in the sunflower oil export market exceeds 120 states. All subscribers of the Ukrainian edition of the Week of Agribusiness from UkrAgroConsult have access to the latest news about the export of grain and oilseed products, the ratio of supply and demand, the nuances of value, the quantity and quality of sowing materials and the promotion of the harvest campaign. Information on further development, the main directions of promotion and trade of agricultural products of the future 2018/2019 year will be discussed at the 6th International Conference “Black Sea Oil Trade-18”. The official date of the event is 20.9.2018, at the venue – Kiev, hotel “Hilton”. The initiator of the conference was the agency “UkrAgroConsult”. Representatives of agribusiness from 20 states announced their participation in this forum.